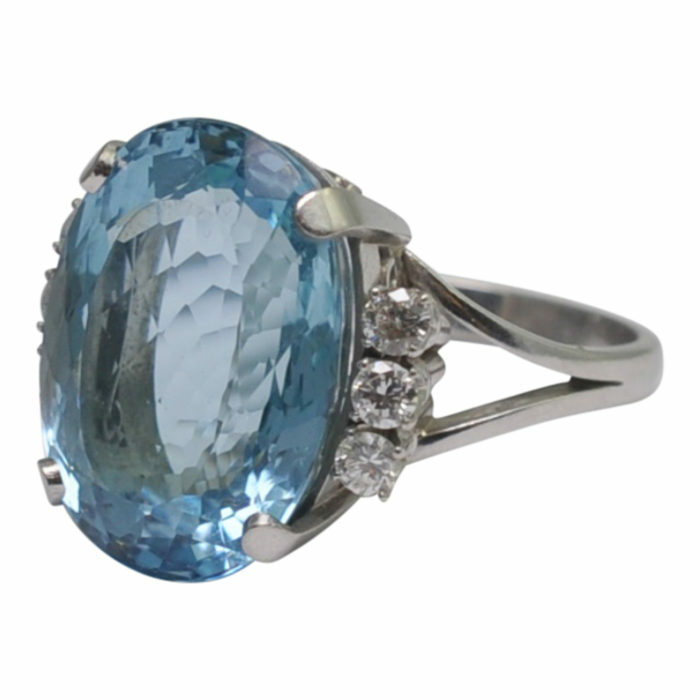 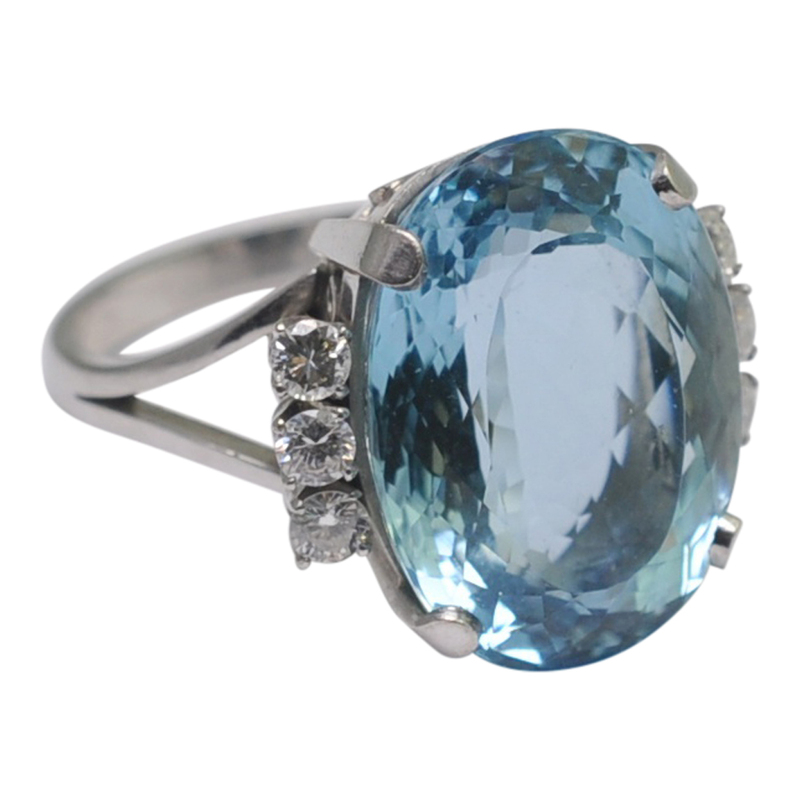 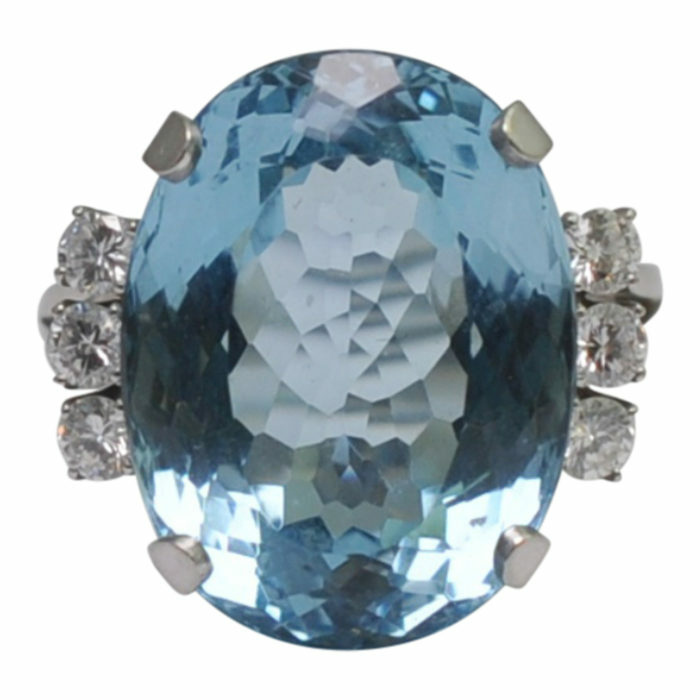 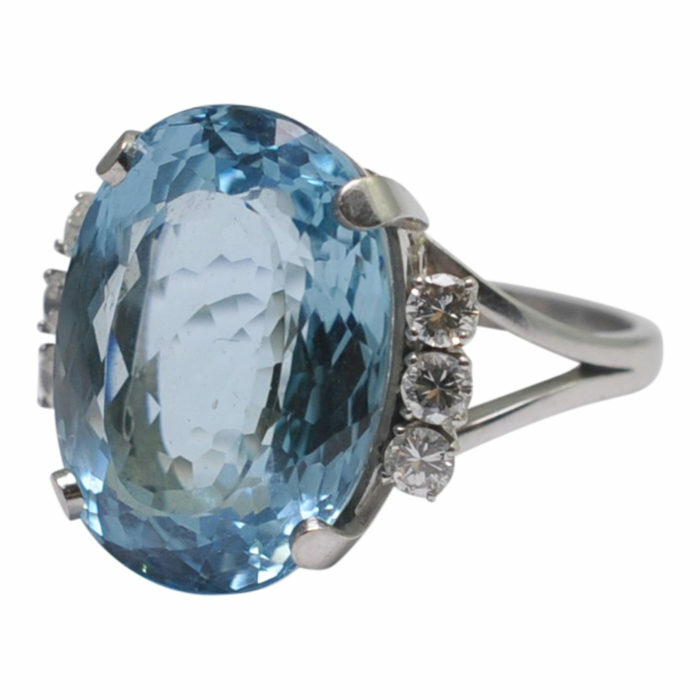 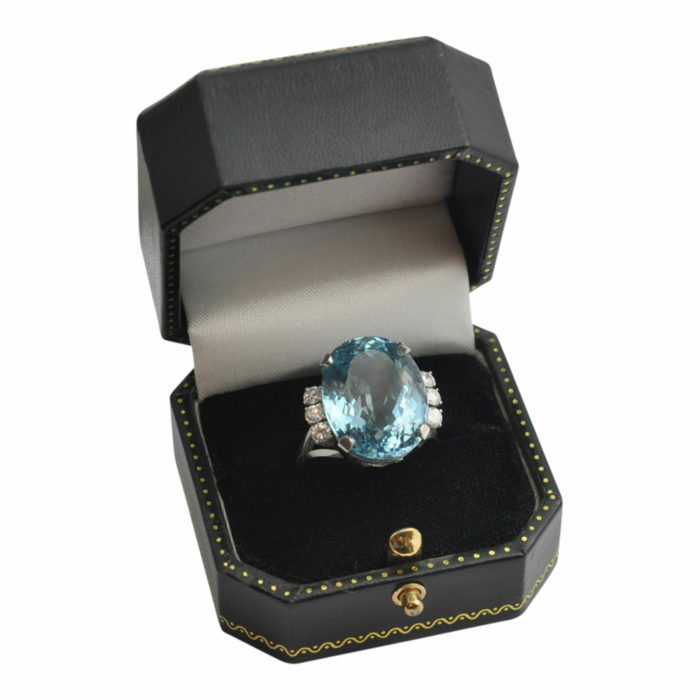 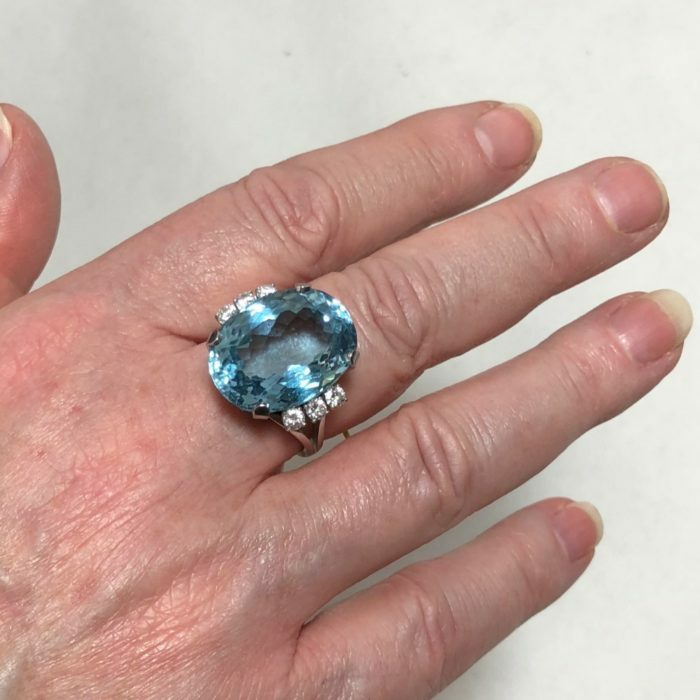 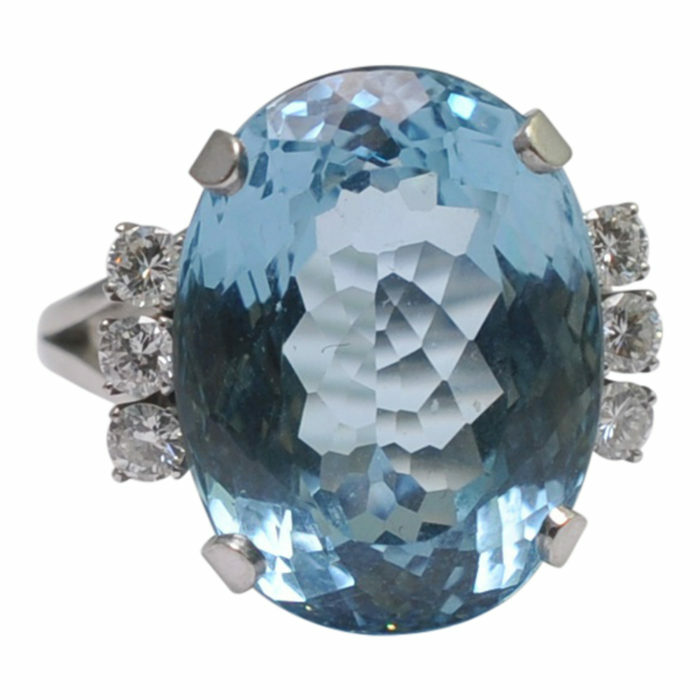 Large oval aquamarine and diamond cocktail ring set in platinum; this bold and dramatic ring is set with an oval, multi facetted, strong blue colour aquamarine weighing 15.3cts, claw set and is flanked by 3 brilliant cut diamonds on each side, weighing 0.60ct. 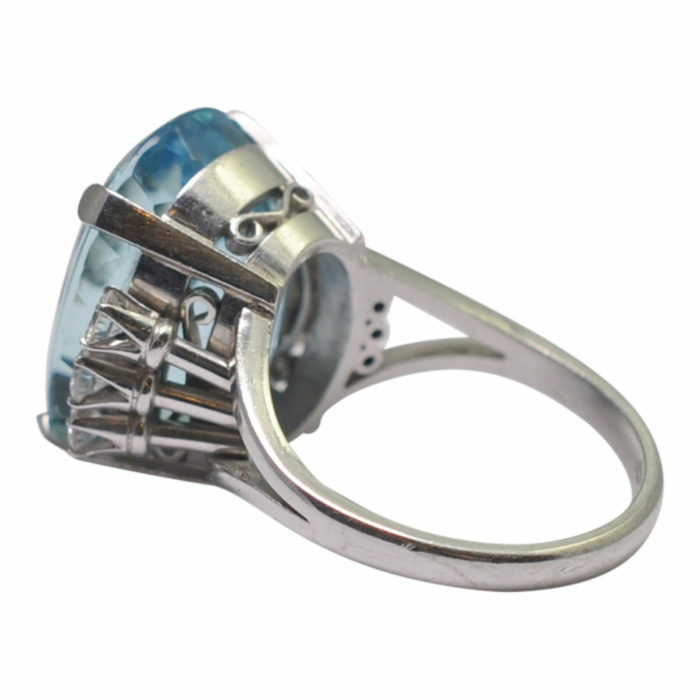 The ring is mounted in a handmade platinum setting, weight 13.40gms. 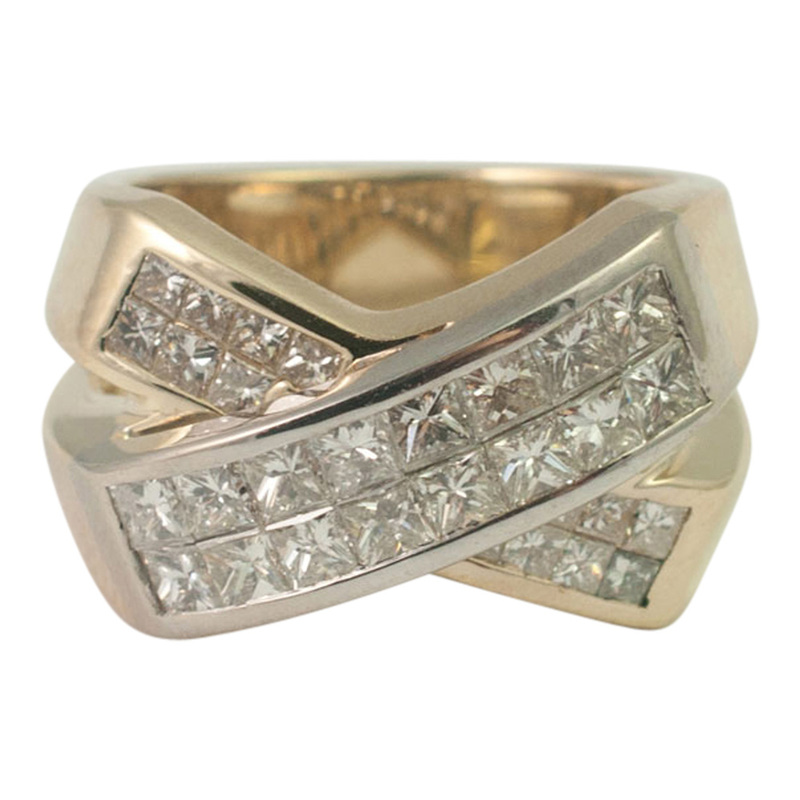 Tested as platinum; measurements, length 2cm x width 2cm x depth 1.15cm. 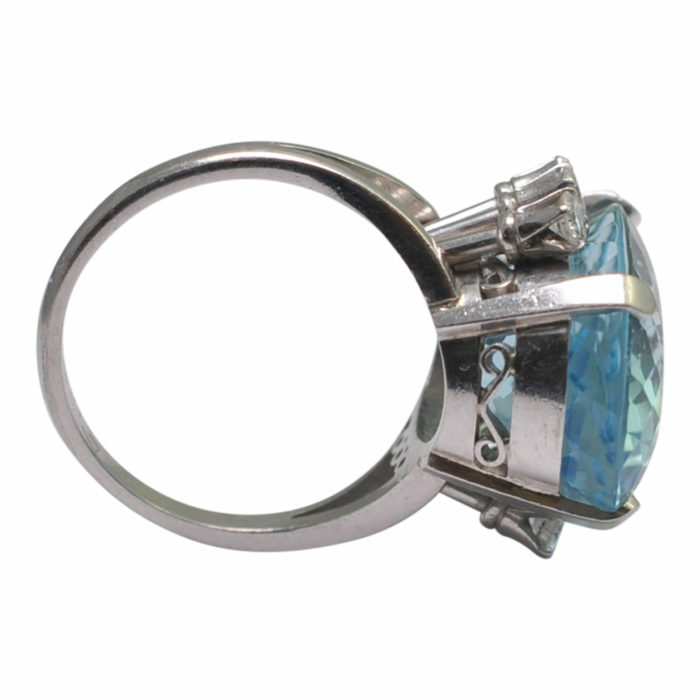 Finger size R (UK), 8.75 (US), 59 (French) which we can re-size for you if required. 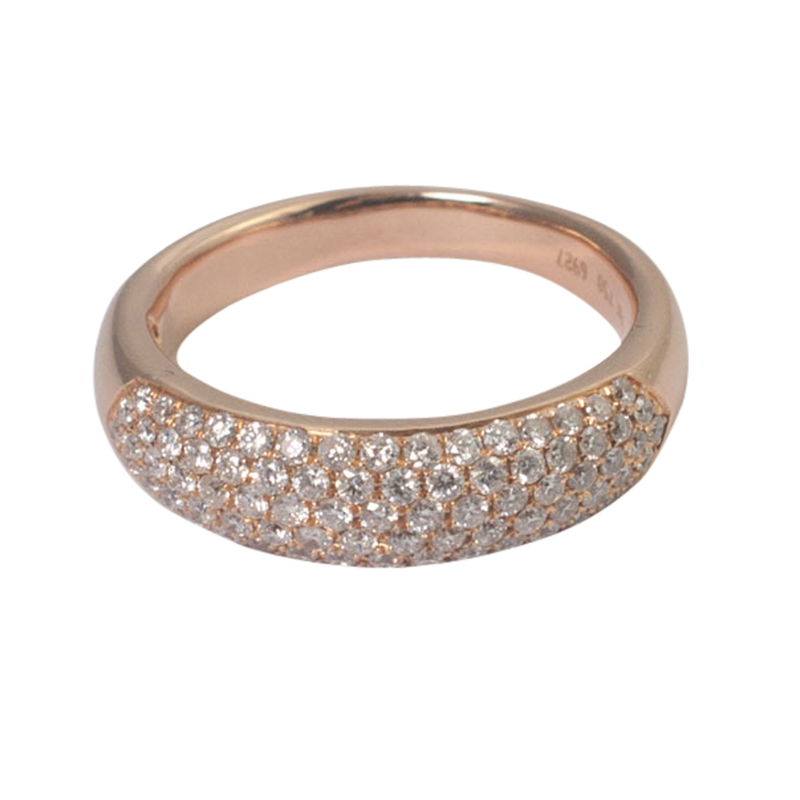 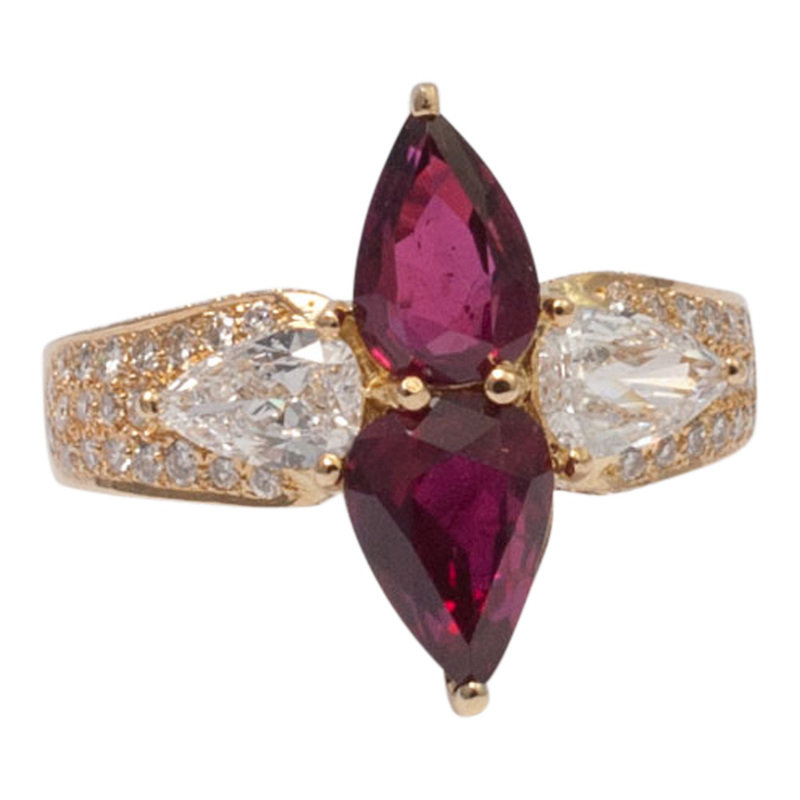 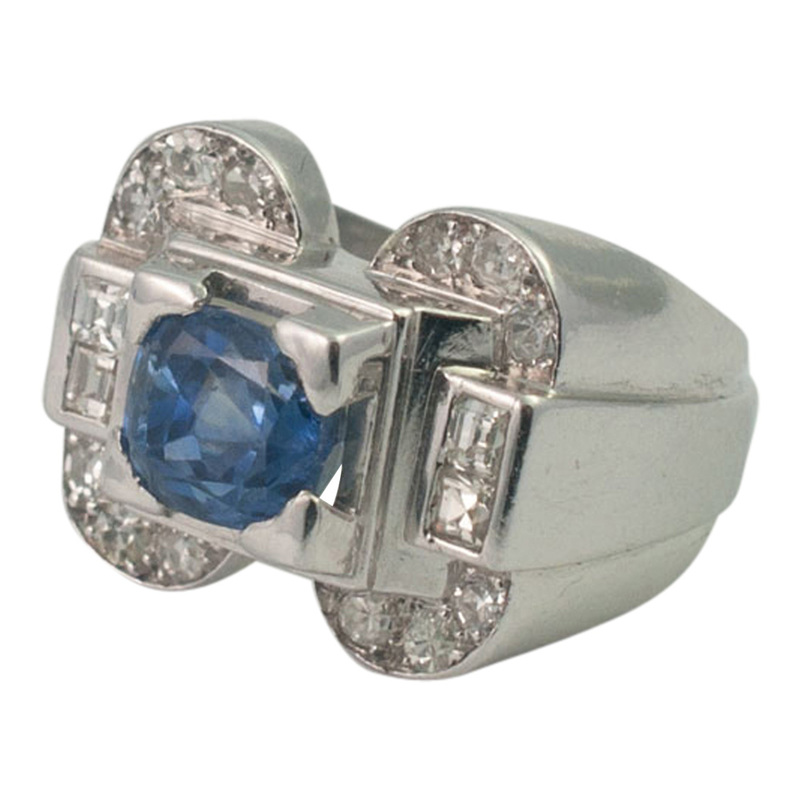 The ring dates from the 1950s and is in excellent vintage condition.